October is National Breast Cancer Awareness Month. Breast cancer kills more women than any other type of cancer except lung cancer. According to the National Institutes of Health, the best results for successfully treating breast cancer depend on early detection, when it’s most treatable. Most breast cancers occur in women over age 50, according to the National Cancer Institute. From ages 50 to 59, a woman’s chance of being diagnosed with breast cancer is 1 in 37. The good news is that it’s easier for doctors to detect breast cancer in women who have gone through menopause. That’s because of the postmenopausal change in breast tissue density. And here’s another good reason to keep your focus on fitness through good nutrition and daily physical activity: Research studies indicate your chance of developing breast cancer after menopause is higher if you’re overweight. Men also get breast cancer, and it kills about 450 men each year. 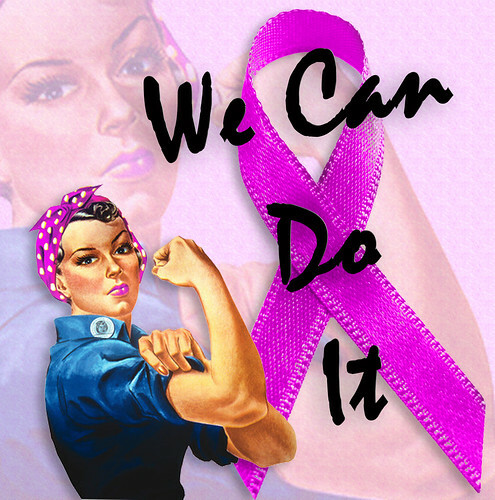 According to the American Cancer Society, breast cancer is about 100 times less common among men than among women. But the same prevention guidelines apply to men. Early detection is the best defense, and maintaining a healthy weight will also reduce your chances of getting cancer. We’re posting breast cancer survivor stories all this week on A Healthier Michigan. We invite you to comment or share your own story as new stories are posted each day.